The Rage Circus Vs. The Soulless Void: Coming up on the Rage Circus - Michael West's "Hade's Disciples" Blog Tour! Coming up on the Rage Circus - Michael West's "Hade's Disciples" Blog Tour! 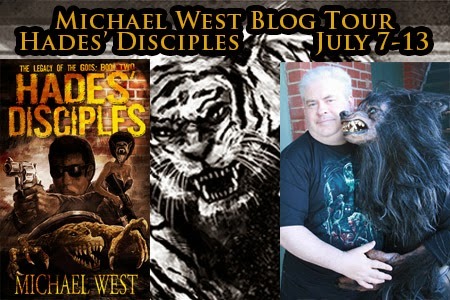 Don't miss out on the blog tour for Michael West and his new novel Hade's Disciples! The blog tour will be rounding out with a review from The Rage Circus on July 13th. Until that time, get more information on the tour and check out the other stops at http://www.tomorrowcomesmedia.com/michael-west-hades-disciples-tour/.